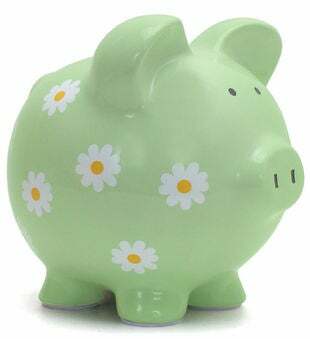 Turn a traditional design into a treasure with the Personalized Daisy Piggy Bank! Its charming pattern makes managing a child's savings fun and easy. Perfect for a nursery, baby shower, birthday and every occasion in between.